The special Holographic Eyes of the DOA TerrorEyz make fish attack because the eyes shoot out flashes of reflected light. 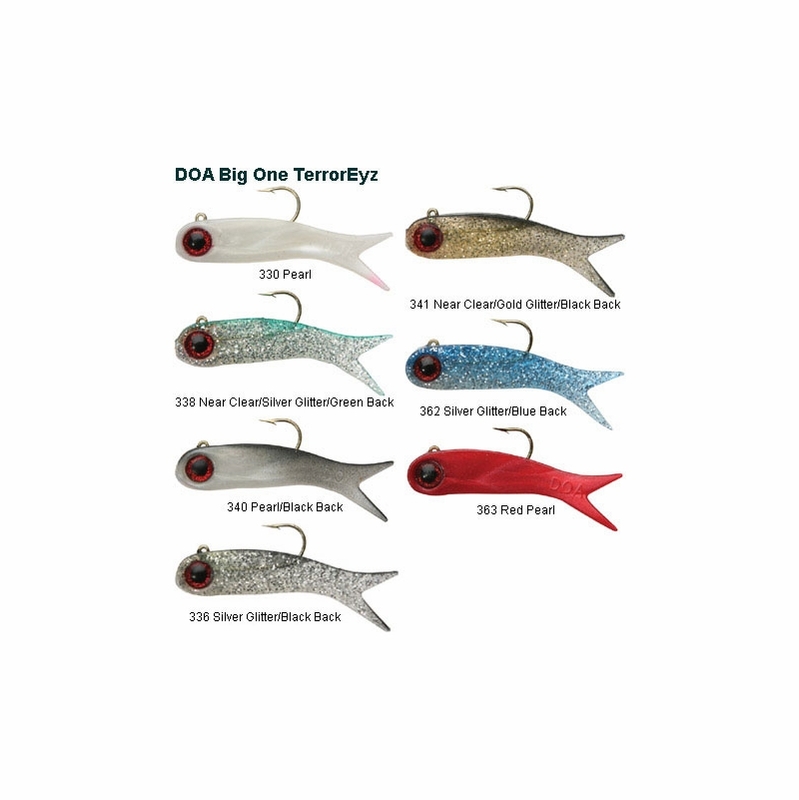 The DOA TerrorEyz Lure is the world's first lure that makes eye contact with fish. The special Holographic Eyes make fish attack because the eyes shoot out flashes of reflected light. The hidden lead head hook design makes the lure swim correctly every time and the attacking fish never feels the hard head. Surrounded by the super strong soft plastic vinyl body, the lead head hook is snag proof. The nose of the lure bounces off the rocks and other submerged structures. 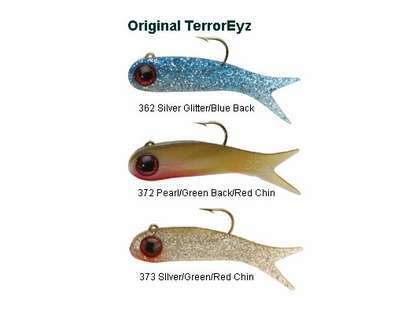 The TerrorEyz imitates a minnow in the water; it will catch any fish that will eat a live minnow, such as snook, trout, walleye, redfish, tarpon, flounder, cat fish, pompano, large mount bass, stripers, ladyfish, bluefish, white bass, rooster fish, dorado and spanish mackerel. The way the TerrorEyz is designed it will start to vibrate and create a swimming motion as you retrieve it. 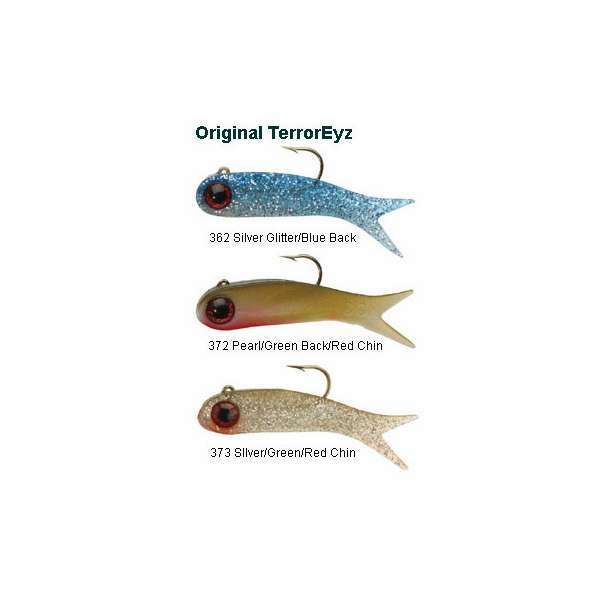 The Terroreyz is best fished in four feet of water or more. If you fish it in shallow water you will have to retrieve it fast to stop it from snagging on the grass. If you are standing on a dock, fishing pier, sea wall or in a boat, cast the Terroreyz and let it fall to the bottom. Then start a steady retrieve with a slight twitch retrieve � twitch retrieve. This will give the lure the action it needs to attract fish. If you are fishing under a bridge where there is a swift current, tie off to one of the pilings if you are allowed or anchor as close to the bridge as you can. The ideal situation is to slow your drift with a trolling motor. Whichever method you use, cast up current and let the TerrorEyz fall to the bottom, taking in just enough line to keep the slack out of your line. Let the current take the lure past the boat all the while you are bouncing the lure on the bottom. As the lure passes the boat and moves to the back of the boat you will have to let some line out to keep the lure on the bottom. Remember to keep the lure bouncing the bottom all during this operation. If you are fishing for tarpon with the Terroreyz, the key is to cast the lure just in front of rolling tarpon and let the lure fall with the fish. This method of tarpon fishing works with all DOA lures. Love using these to catch snook. Has great action and catches lots of fish and is very durable. This lure will get you big fish and I absolutely love it! I recommend to anyone who fishes for lunkers! Great lure. Can use this practically anywhere. From freshwater to saltwater. Great for bass, snook, tarpon, and jacks. Fair price only issue is that it only comes with one rigged. Would be great if they were all rigged and ready to go. I can't find the rootbeer color. Is that available? Are these TerrorEYz lead free? Hello Eli. 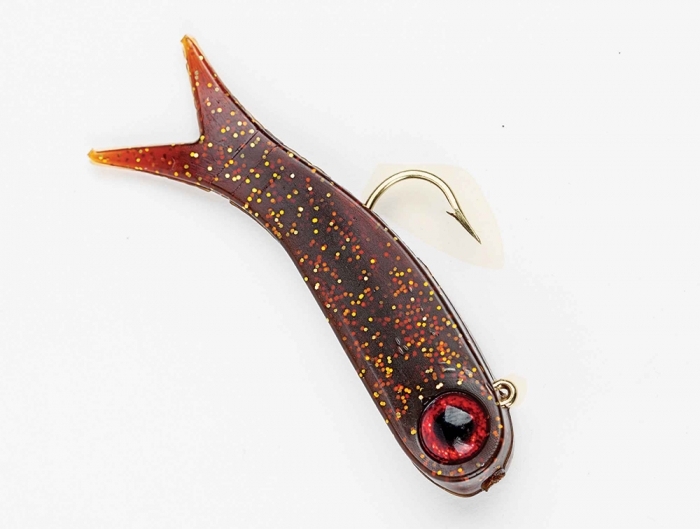 These lures have a lead weighted portion that is hidden in the eye area of the lure. Please feel free to contact us if you have any more questions!